Custom Playing Cards and Personalized Playing Cards since 1970. We make Custom Playing Cards. Welcome to our website. If you are looking to print custom playing cards for your next project then you are at the right place. With our warehouse is USA we make all type of custom playing cards, personalized playing cards, custom Poker cards, board games, casino playing cards, tarot cards and trading cards. We have been making customized playing cards Since 1970. Click here to see our print production capacity. We print more than fifty thousand packs of custom playing cards each day working with game developers in USA and casinos globally. Each state of art printing machine can print a minimum of 25000 packs of playing cards every day in an 8 hour production shift. We have four such machines under production as shown on the link above. Do you have a Kickstarter project to complete? 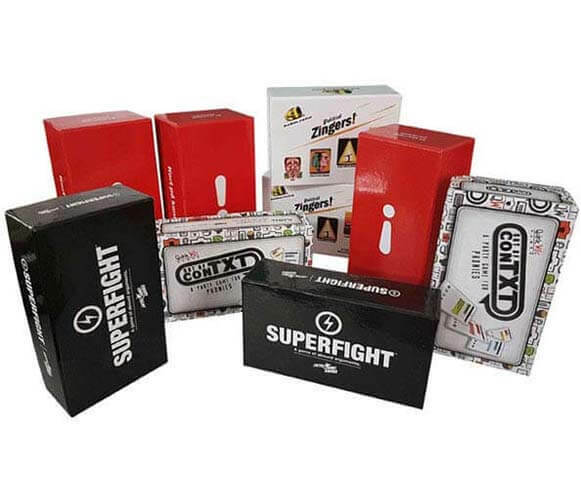 We have executed many kickstarter projects with varied requirements of card games, cards for games and Jumbo playing cards with high end game boxes, instruction sheets, inserts and accessories. The success of any kickstarter project depends on its production and delivery schedule. We make sure that your projects are completed and delivered on time, every time. We have different options of sheet stocks available with us for your personalized playing cards and games. 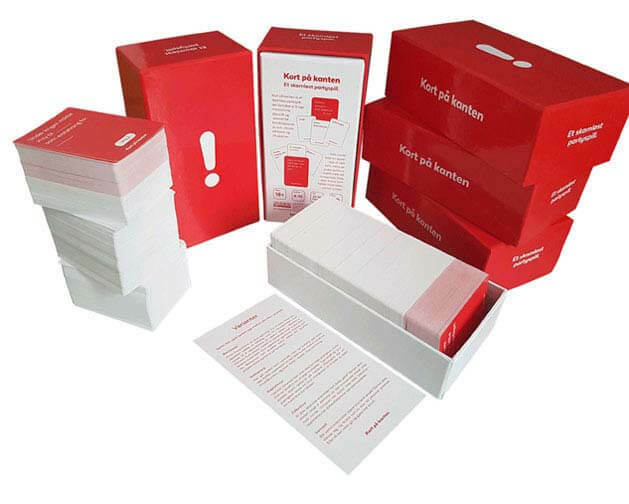 Starting from the standard 270 gsm to the professional 310 gsm linen emboss sheet stocks. We also offer the high grade 100% plastic playing cards. All production is completed in our two state of art playing card manufacturing plants. We can make card games and customized playing cards with any specifications, be it a special card size or a special shape or thickness. Packing can be a simple tuck box to a game box with different sections. You can take a standard pack of 55 cards or a card game of 550 cards or more. 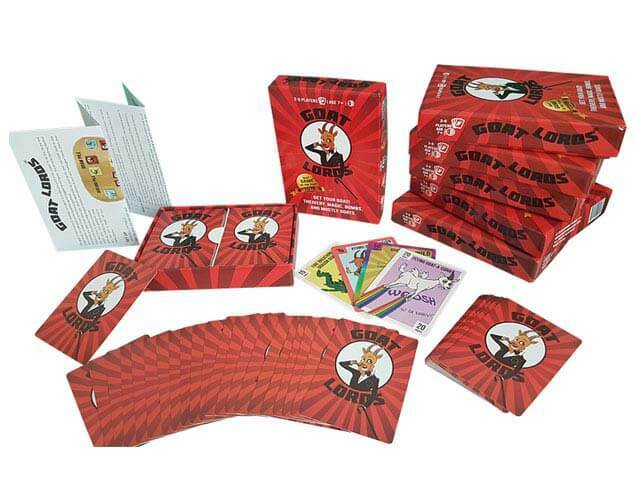 We have executed many games like Apples to Apples, Cards Against Humanity, Taboo etc. Do you need special hard board game boxes for your next project? We make those on our automatic box making machines. We can start and complete projects with a very quick turn around time. We can ship goods safely by air and by sea to reach destination on scheduled dates. We also make card games and custom poker cards using hundred percent plastic sheets. 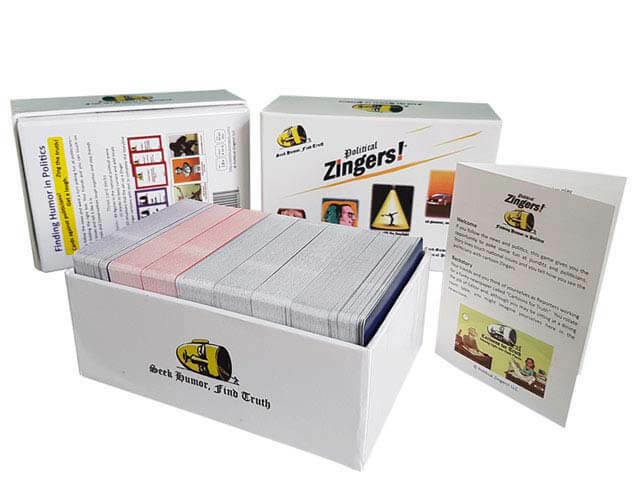 Our quality of such customized playing cards and games is comparable to the best available across the world. You can take such custom deck of cards with any card size that you may need. You can choose from the mini playing card size going to the jumbo card sizes for tarot decks. We have almost 20 different card size options readily available. Any special size can be created within a short period. There are so many popular games being sold in the states that are manufactured on a regular basis at our production plant. We also supply 100 percent plastic playing cards to corporates and multinational clients for their promotional requirements. We have a dedicated team looking into the requirement of promotional playing cards for the large buyers. We make playing cards that are top casino quality using European plastic sheets and come at the lowest prices Guaranteed. Take benefit of our low manufacturing costs while keeping the quality parameters world class. Buy direct from the manufacturer and reduce your product cost. The sheets used to make card games, game cards and playing cards are sourced from world's best paper mills. Our state of art printing, coating, collating and gathering plant is fully atomized and match the world's best. We are An ISO 9001:2008 Certified Company. We can help during the early stage of the projects as our team has a lot of experience in handling projects related to card games. Our production time is less and our shipments reach on time every time. We are close to the sea port and the International Airport and can ship goods within hrs notice. We deliver wherever you are. We have shipping arrangements to more than 40 countries using only the most reliable shipping lines, airlines and forwarding agents. Hundreds of shipments every year give us and you, a high standard of transport at low cost. Ask for a quote. Please forward your project details and we shall reply back with best possible price quotes. Samples can be provided when required. We have all options covered be it custom card games or a unique deck of cards, jumbo playing cards from the largest possible to the smallest available or special card shapes. Again, all options for card stocks are available with different type of coatings starting from glossy to the Cambric finish. 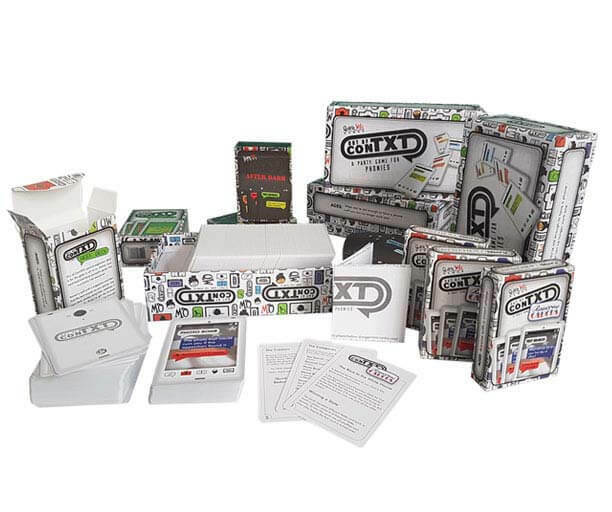 We have the whole gamut of packaging covered with instruction sheets, accessories and boxes required. Our price quotes are so much more economical than some of the high ranking websites that are charging almost double for the same quality and quantity. As we use the best quality playing card sheets and the latest German printing machines for printing and completing your projects thus you can rest assured that your card games and custom playing cards shall be printed to perfection. Today the 7 boxes have been delivered in Tres Cantos (Madrid) Spain. Your work is very professional. Thank you. The overall result is really high quality. I will count on you on my next projects in cards production. I just wanted to let you know that we received the playing card shipment a couple days back and these are really perfect. We were hesitant of placing an order overseas for such a large quantity but I personally feel that we made the right decision. Yes, we did our research over the internet and went through your references and I can say that you can use our name as a reference for future clients. The cards are beautiful. The printing is very very nice. The feel of the cards is terrific! Thank you! You can use my name and number as a reference for other US customers as I also received very good feedback from your other customers and would be willing to help if required. I'll get started on the next project and should have another order for you in about 6 weeks. 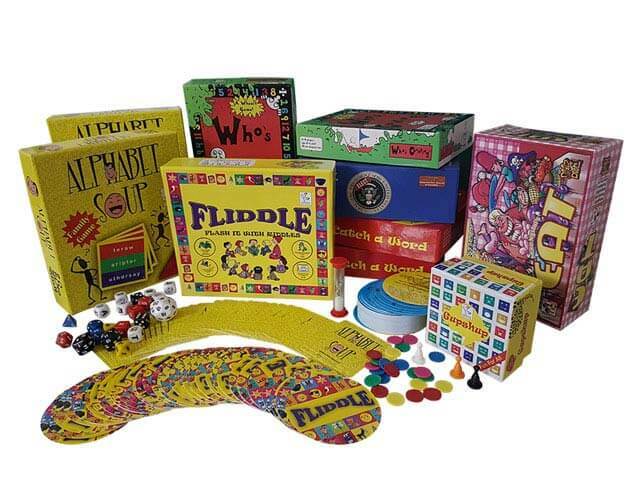 We received the shipment of 2520 game sets and everything looks good. We are excited to continue business with you in the future. We received the shipment successfully on Friday. The quality of the goods and the service has been fantastic and we look forward to placing more orders with you in the future. WOW!! I just wanted to say I finally received the cards just last week and I am very impressed. I received a deck of cards back in April from one of the references you told me to contact so I knew what kind of quality to expect, and the quality on this job was just as good as I had hoped. Everything was carefully organized and packaged, and the cards have a great finish and feel to them!! Carefully packed for safe transportation to any destination. We can deliver directly to your city CFS or your local forwarder. Worlds best available state of art manufacturing machines. Prices better that local suppliers. Extra value of your money.